- Two piece set - one for the airbrush main body, and another for the trigger button. - Durable silicon grip material is easy to clean and impervious to most solvents. 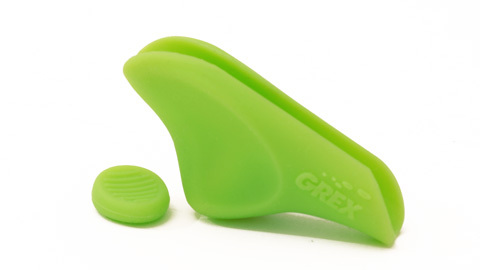 - Grip is soft enough for cushioning to releive finger and hand pressure points. - Also firm enough to provide structural support for increased holding area. - Fits all Grex traditional dual action airbrushes. - Compatible with most popular airbrush brands/models.